The Leesville orchestra has a standing fundraiser at Schiano’s Restaurant on Strickland Road. Every second Thursday of the month, customers can mention the Leesville Road High School Orchestra and 10% of their bill is donated to the program. The donation allows the orchestra to purchase new instruments, bows, and accessories for their growing number of members. The fundraiser lasts all day; however from 6:30 p.m. to 8:30 p.m. patrons will receive a live performance from an elite group of players called Melos, composed of seven players who are members of the advanced orchestra class. They practice inside and outside of school and play a multitude of gigs including weddings. 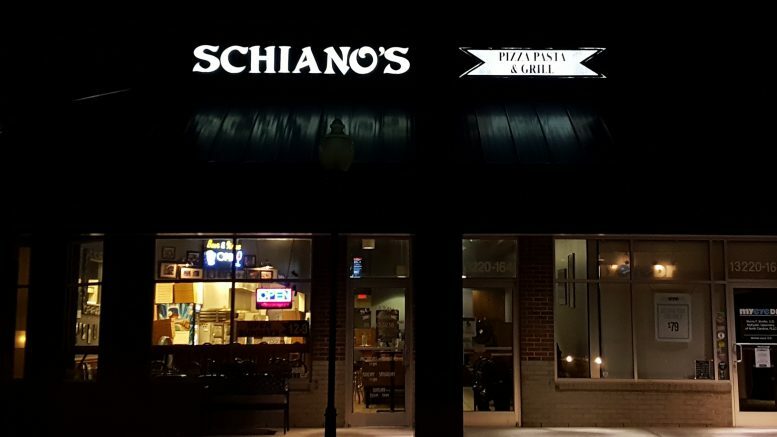 The outreach program with Schiano’s is a win-win for both parties. It draws in a crowd that is good for business, and the musicians have the opportunity to perform more child-friendly music. “We play things like The Incredibles, Pirates of the Caribbean, and smaller folk tunes,” said Holly Upenna, a senior violinist in Melos. The small “closer knit” performance can be nerve racking the first couple of times playing, but it helps the musicians grow into more confident and expressive players. Upenna says that getting out and involving the Leesville community in the arts is something that makes her “feel like [she’s] doing more” in her daily life. The community is exposed to, and helps fund, a part of the LRHS arts department. You can enjoy a slice of pizza and some contemporary orchestral pieces the next time the fundraiser comes around on November 8. Be the first to comment on "Schiano’s Outreach with Leesville"